It may be a personal opinion, but I like to think of nut butter as food from the gods. Delicious, filling and extremely good for us. We’ve all grown up with peanut butter and it is an absolute staple in the All-American childhood. The relatively new comers to the market are almond butter, cashew nut butter and macadamia nut butter to name a few (1). Lately peanut butter has received a bit of bad press in the Paleo circles as we have been reminded that in fact the humble peanut is in fact not a nut at all, but a legume. The world has gone crazy for almond butter as delicious alternative to peanut butter. Are we right in taking the leap across to almond butter or should we stick to good old peanut butter and ignore the critics ? Peanut butter provides us with 188 calories per two tablespoons (slightly less than almond butter at 202 calories) (2). Peanut butter provides more selenium than almond butter. Peanut butter is a fairly decent source of thiamine, niacin, folate and magnesium. Folate is our all important pregnancy vitamin. Peanut butter is not a great protein source as many would have you believe, in fact it only has 8 grams of protein per two tablespoons. 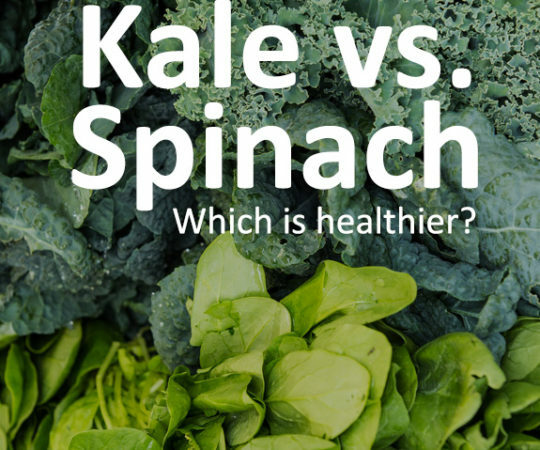 It does have more protein than almond butter (4 grams of protein per two tablespoons). Peanut butter is extremely delicious, filling and satisfying as it is full of tasty satiating (mostly) unsaturated fat. Peanut butter is much cheaper than almond butter and can be bought almost anywhere. Many many brands of peanut butter are full of junk! Unfortunately some brands pack their peanut butter with sugar, high fructose corn syrup, salt and other hydrogenated vegetable oils. Watch out for the low fat peanut butter as they are often the worst. Although peanut butter supplies us with a dose of healthy fats, it also supplies us with a surprising amount of carbohydrate (remember it’s a legume). Peanut butter is high up on the ‘addictive foods list’ as many people cannot simply have some a teaspoon full and walk on. 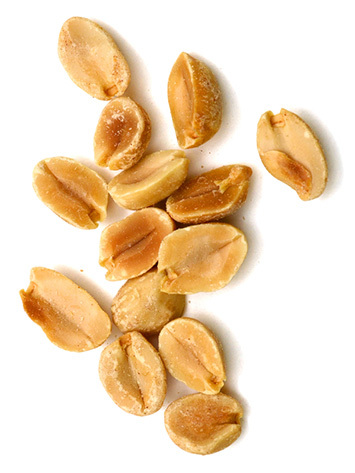 Peanut allergies are fairly prevalent with peanuts being reported as the most prevalent allergen in the USA (3). There is a great risk that peanuts and peanut butter contain naturally occurring Aflatoxins. Aflatoxins are fungal toxins produced by certain members of the Aspergillus family. These mostly colonise after the harvest of certain types of crops. The problem with peanuts is that they grow underground and because the Aspergillus fungus is normally found in soil, the contamination actually happens before harvest (4) . Because the Aflatoxins are a toxin, the liver gets to work to help metabolize them. In large enough doses the danger is that the aflatoxin becomes carcinogenic, especially for the liver (5). Do not be too worried though if you are a die-hard peanut butter fan as it seems as if the actual process of making peanut butter actually reduces the the aflatoxin level to a fairly safe level (6). 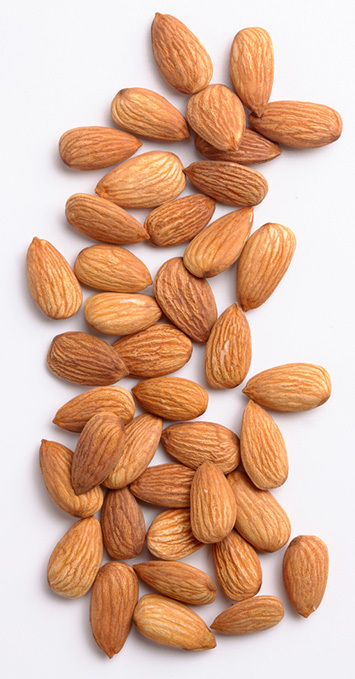 Almond butter is an excellent source of vitamin E, magnesium, manganese, iron, potassium, zinc and calcium. In the vitamin and mineral stakes, almond butter is streaks ahead. Almond butter is an excellent alternative to peanut butter, especially for those with peanut allergies. Almond butter us lower in carbohydrates than peanut butter, due to a much higher fiber content. Almond butter is extremely versatile in terms of both savoury and sweet recipes. The natural sweet taste of almond butter helps curb sweet cravings. Almond butter is just as addictive as peanut butter. If you are trying to lose weight, practice extreme caution as any nut butter is packed full of calories. 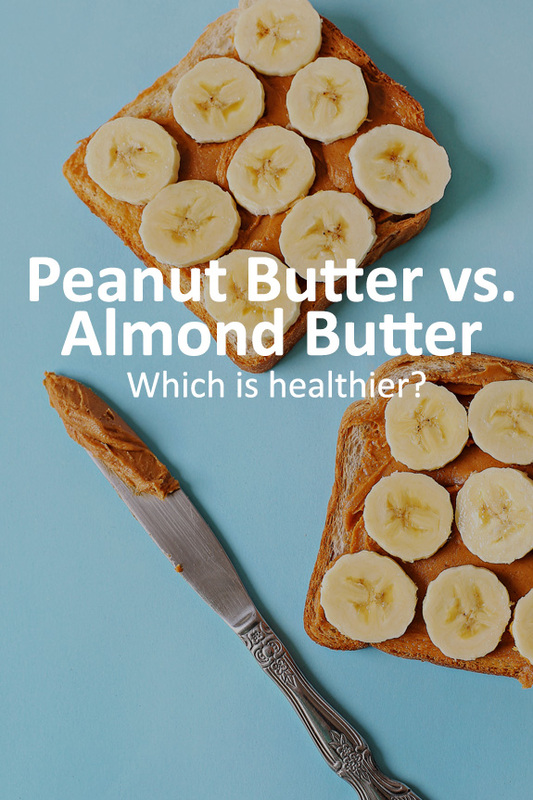 Almond Butter vs. Peanut Butter: Which is Healthier? For loyal peanut butter lovers the answer might be hard to hear, but it is pretty clear who comes out on top. Almond butter not only wins the nutrient stakes hands down, but also carries a clear conscious with regards to any potential pitfalls. For Paleo followers the answer is quite easy as peanuts are a legume and as such are not a part of the Paleo philosophy. If you are like many who can’t quite walk away from your long time friend peanut butter make sure you choose the highest quality peanut butter available to you. Put your family and your health first by buying peanut butter which is sugar free, preservative free and free from nasty hydrogenated vegetable oils and stabilizers.